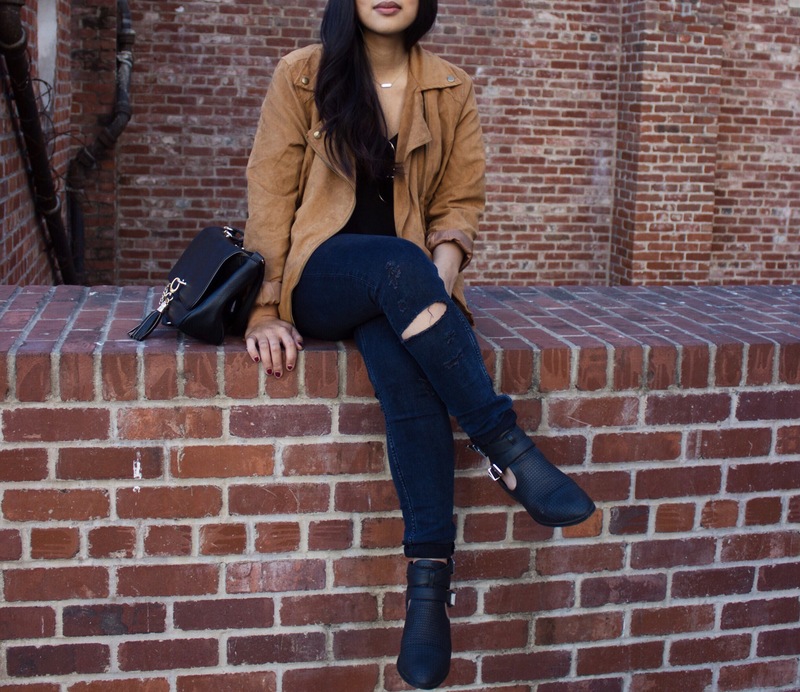 I’ve been really loving the camel and suede trend this fall! Especially when they’re paired together. I don’t have anything like this in my wardrobe, which is why I thought it would be a great addition! What I absolutely love about this jacket is that it has that moto jacket vibe to it. I love my black leather moto jackets, so why not get one in this beautiful camel color, right? This jacket is also very lightweight, which makes it really comfortable and easy for layering. Plus, it’s super cute! I’ll be getting a lot of wears out of this jacket for sure. It can easily be paired with black or blue denim, a basic top, and some cute booties! Of course there are other ways this jacket can be styled, which is why I think it’s such a great piece to have. This specific jacket, which is from Charlotte Russe, is a great cheaper alternative to the more expensive pieces that I have seen in stores and online. Although I don’t normally shop at Charlotte Russe, but I thought this jacket was too cute to pass up.